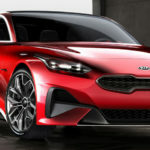 Kia Motors has revealed its new all-electric concept four-door car called ‘Imagine by Kia’ at this week’s Geneva International Motor Show. 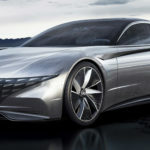 Unveiling the car, Gregory Guillaume, Vice President of Design for Kia Motors Europe, explained “Automotive design is about capturing the heart and making it beat that bit faster for that bit longer. We believe that there’s absolutely no reason why that should change simply because the car is electric. That’s why our all-electric concept is designed to not only get your pulse racing, but to also signpost our holistic and emotional approach to electrification. 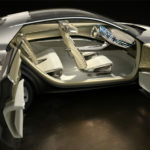 Groupe Renault chose the Paris Motor Show to unveil EZ-ULTIMO, its futuristic robo-vehicle concept that offers an autonomous, electric, connected and shared mobility service solution. Available on-demand for a single trip, for an hour or for a day, it caters for people looking to enhance a special moment through a private trip in a city, a premium tourist experience or businesses looking to offer premium journey services to its clients. Hyundai unveiled its ’Le Fil Rouge’ concept car at the 2018 Geneva International Motor Show, marking a new beginning for Hyundai design and providing a glimpse of its future design direction. Honda took the opportunity at its 2018 Geneva Motor Show press conference to confirm that order books for a production version of its Urban EV Concept will open early next year. The new Kia Proceed Concept hints at the design of the next-generation cee’d model family. It has been created by Kia’s European design centre in Frankfurt and it went on show for the first time today at the city’s motor show. The Mercedes-Benz Concept EQA, which was unveiled at the Frankfurt Motor Show today, is the company’s first all-electric EQ concept vehicle in the compact segment. 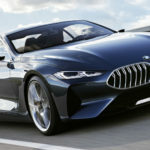 The BMW Concept 8 Series offered visitors to the Frankfurt Motor Show a taster of a new model from the brand due for launch in 2018 – the BMW 8 Series Coupe. 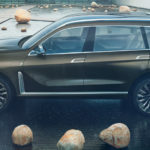 The BMW Group has chosen home territory at the Frankfurt Motor Show to reveal an innovative new vehicle concept for the luxury class. A team from ED2, Toyota’s European design studio, has explored new ideas in colours, textures and trims to create the Toyota C-HR Hy-Power Concept, a new interpretation of the crossover that offers high visual impact, linked to its use of a new, more performance-focused hybrid powertrain. 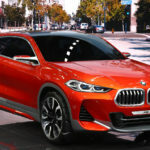 The BMW Group chose the Paris Motor Show to present its Concept X2 model – a new addition to the compact segment with a distinctive design that stands apart from that of the other X models and also draws on the BMW Group’s history of coupe-making. The result is a compact concept exuding urban sporting appeal.